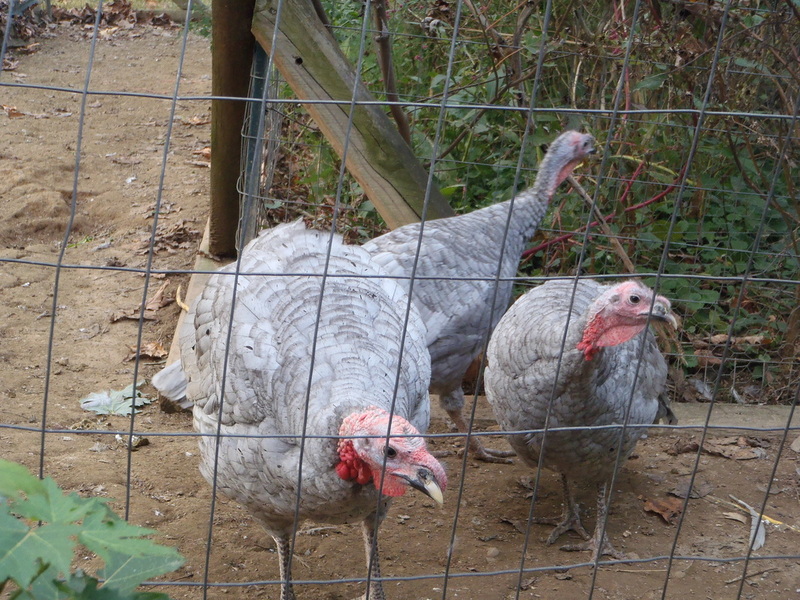 I first got turkeys while planning for Thanksgiving dinner. Little did I know how much fun they are to be around. They are most definitely the friendliest birds we own. I have both Midget Whites and Blue Slates. Both breeds are relatively small and can be kept as pets. Its also nice to know that even a full grown tom of either breed will fit in the deep fryer though. 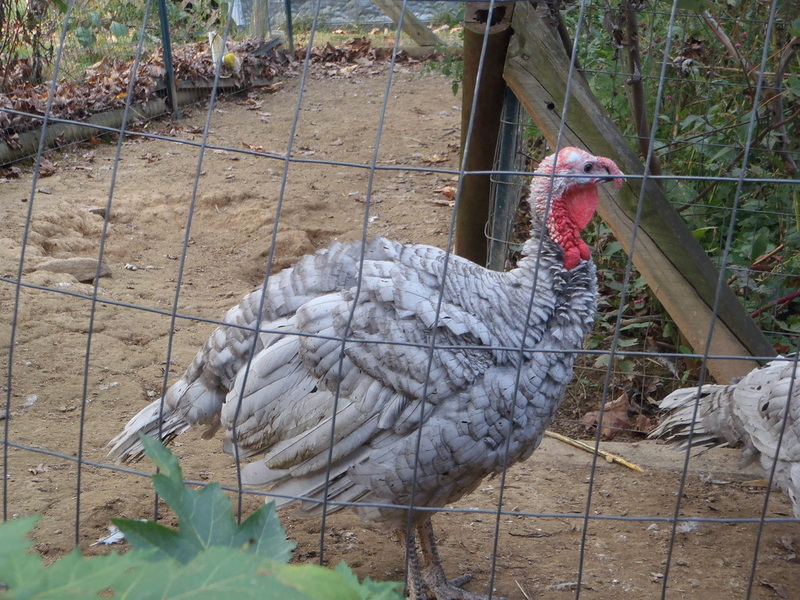 I've had to get rid of all of my turkeys due to a financial issue (they cost a lot to feed!) - but hope to have them again in the future! A offshoot of my addiction is my penchant for blue/lavender birds. The term lavender is actually a misnomer, as a lavender bird is technically "self blue". 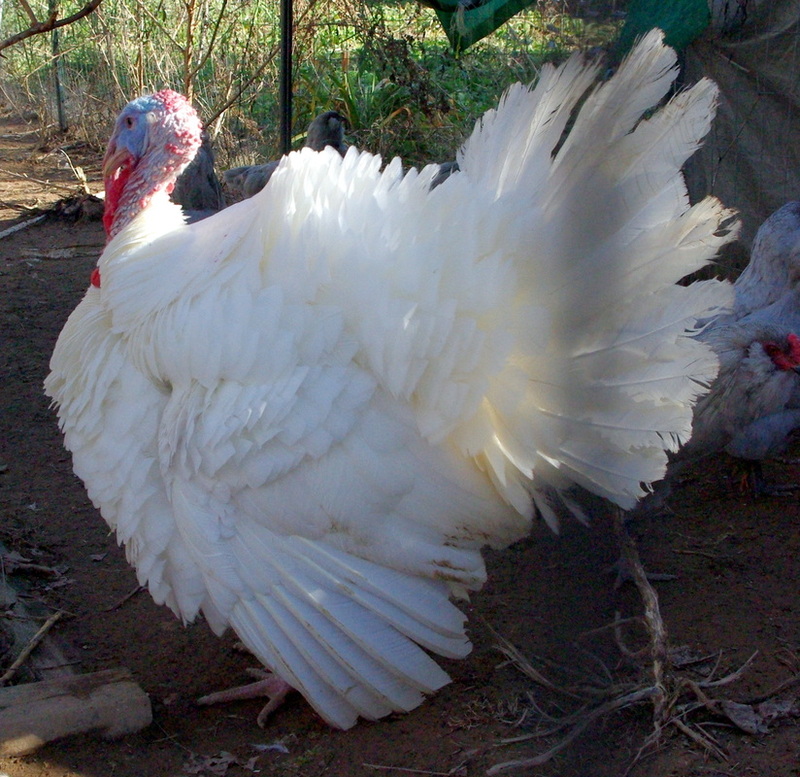 To make this more confusing... Blue Slate Turkeys are actually "splash". Eventually I'll add more information on the genetics of this, but for now enjoy the picture. 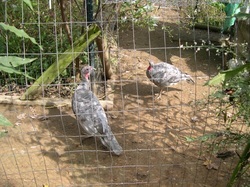 I hope to have hatching eggs for these beauties in the spring. All of my Blue Slates are Slate/Splash, so offspring will be blue, splash/slate or black. All of my BS have gone broody at one point or another - usually as a group!